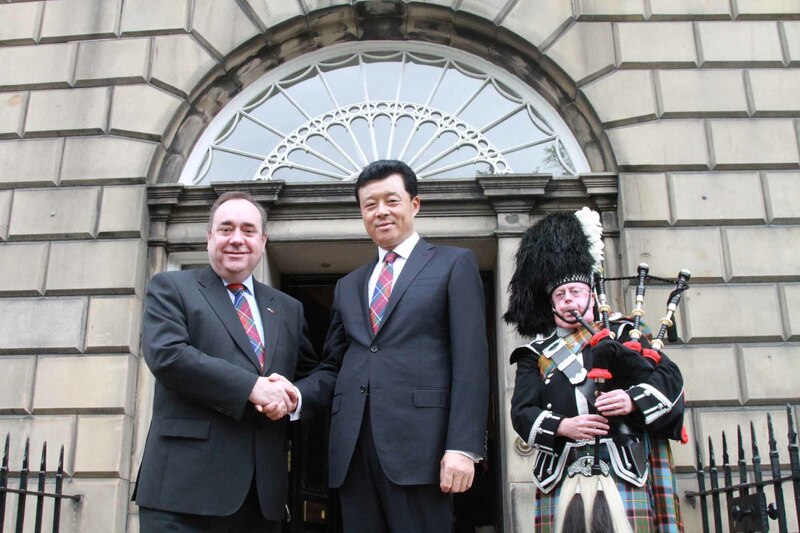 On July 12, during his visit to Scotland, Ambassador Liu called on Mr. Alex Salmond, First Minister of Scotland. Chief Executive of the Scottish Development International Anne MacColl, Executive Chairman of the Board of the Royal Zoological Society of Scotland Manus Fullerton and Chinese Consul General in Edinburgh Li Ruiyou, among others, were present at the meeting. 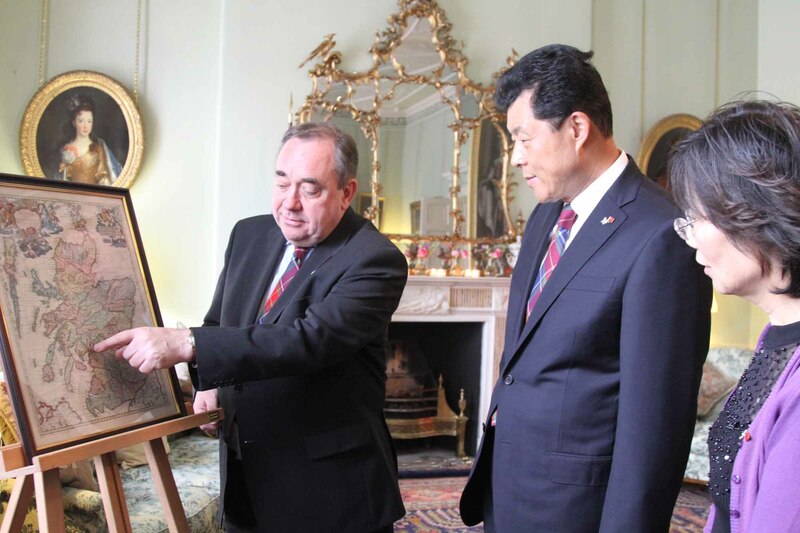 Mr. Salmond spoke highly of Premier Wen Jiabao's visit to the UK two weeks ago, and said that the visit was quite productive and warmly welcomed by the British people. Premier Wen announced two giant pandas would settle in Edinburgh at the end of the year. People from all walks of life in Scotland are looking forward to their arrival. Salmond said that both Scotland and China are innovative countries, and have made outstanding contributions to human civilization and progress. 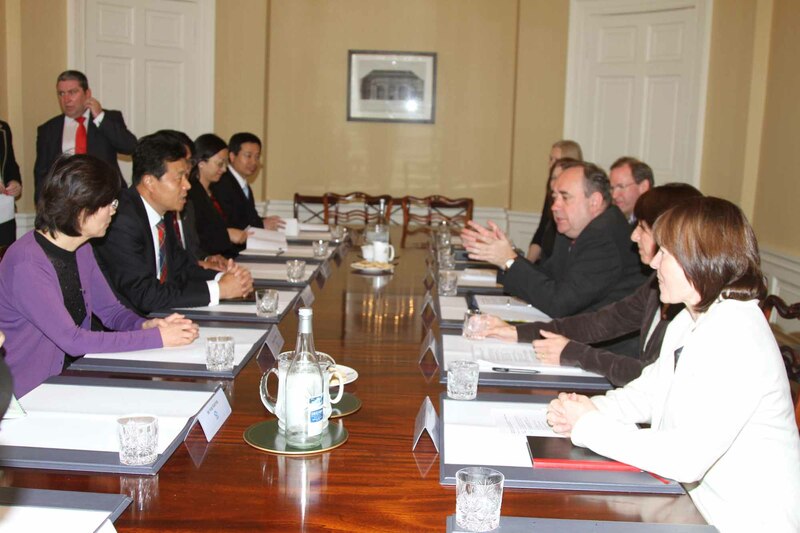 He hoped that Scotland and China would strengthen their ties and expand their cooperation in various fields. 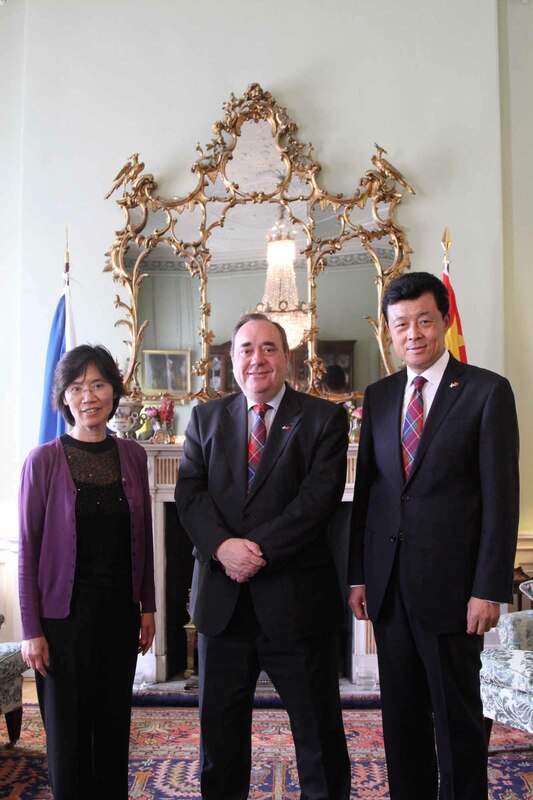 Ambassador Liu said China attaches great importance to developing relations with Scotland. With immense complementary strengths in trade and commerce, China and Scotland should seize opportunities, leverage their potential and further strengthen pragmatic cooperation in trade, economy and other fields. The two sides also exchanged views in depth on how to promote bilateral trade and investment, strengthen low-carbon cooperation and advance educational and cultural exchanges. After the meeting, Mr. Salmond hosted a welcome luncheon in honour of Ambassador Liu and his delegation.